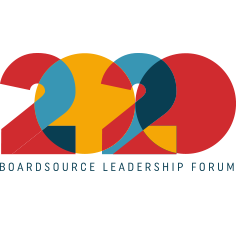 BoardSource has been answering governance-related questions posed by nonprofit leaders for more than 25 years. Here are answers to the most frequently asked questions about nonprofit legal and compliance issues. How are nonprofits monitored, regulated, and governed? Nonprofits are not immune from damage that can be caused by unscrupulous and fraudulent solicitors, financial improprieties, and executives and board members who care more about their own financial welfare than the mission of the organization. Problems, when they do arise, are particularly disturbing because of the nature of nonprofits themselves — organizations created to provide public benefit. Most people are familiar with the mechanisms that safeguard the integrity of government and business. Disenchanted voters can remove politicians from office, and the branches of government view each other with watchful eyes. Businesses have shareholders or owners and are monitored by government agencies such as the Securities and Exchange Commission and the Occupational Safety and Health Administration. The media monitor both sectors and are quick to point out cases of corruption and poor performance. Far fewer people understand how nonprofits are monitored and regulated. For much of its history, the nonprofit sector has operated outside the realm of harsh public scrutiny. No government agency exists exclusively to monitor the activities of nonprofits; most nonprofits aren’t required to hold public meetings; and few journalists report on nonprofits with the same depth and focus devoted to business and government. Boards. All nonprofits are governed by a board of directors, a group of volunteers that is legally responsible for making sure the organization remains true to its mission, safeguards its assets, and operates in the public interest. The board is the first line of defense against fraud and abuse. Private watchdog groups. Several private groups (who are themselves nonprofits) monitor the behavior and performance of other nonprofits. Some see their mission as serving as advisors to donors who want to ensure that their gifts are being used effectively; others are industry or “trade” groups that provide information to the public and encourage compliance with generally accepted standards and practices. State charity regulators. The attorney general’s office or some other part of the state government maintains a list of registered nonprofits and investigates complaints of fraud and abuse. Often the state attorney general serves as the primary investigator in cases of nonprofit fraud or abuse. 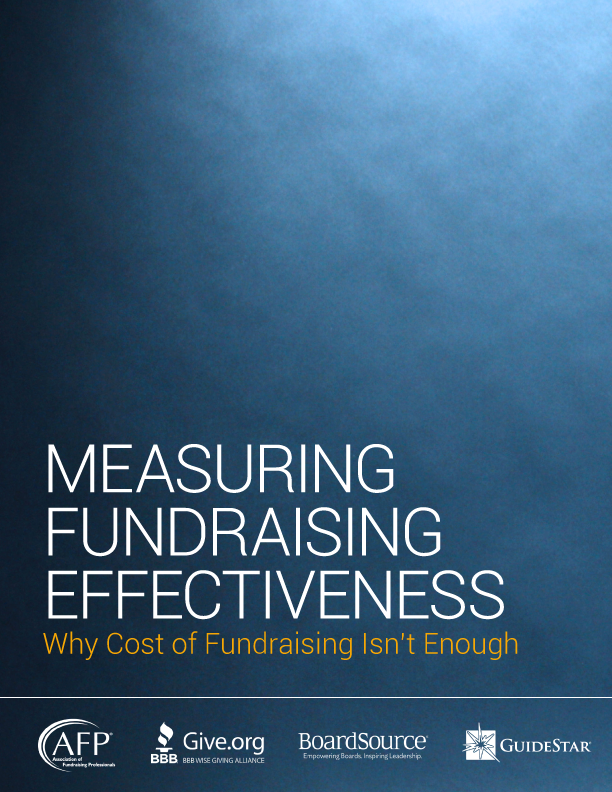 Almost all states have laws regulating charitable fundraising. Internal Revenue Service. A small division of the IRS (the exempt organizations division) is charged with ensuring that nonprofits are complying with the requirements for eligibility for tax-exempt status. IRS auditors investigate the financial affairs of thousands of nonprofits each year. As a result, a handful of organizations have their tax-exempt status revoked; others pay fines and taxes. In 1996, legislation authorized the IRS to penalize individuals who abuse positions of influence within public charities and social welfare organizations. Formerly the only weapon available to the IRS was to revoke tax-exemption, which resulted in the denial of service to the clients and constituents the organization was created to help. Because they fall short of revocation of tax-exempt status, these provisions are called intermediate sanctions. Donors and members. One of the most powerful safeguards of nonprofit integrity are individual donors and members. By giving or withholding their financial support, donors and members can cause nonprofits to reappraise their operations. Media. Most of the major scandals involving nonprofit organizations in recent years have surfaced as a result of media investigations and the resulting news stories. While many nonprofit leaders feel misunderstood or even maligned by negative media coverage, this media watchdog role has resulted in increased awareness and accountability throughout the sector. Yes, nonprofits can engage in revenue-generating activities that result in annual surpluses or profits. The distinction between nonprofits and for-profit companies is what happens to the surplus. For-profit businesses may distribute their gains to the owners or shareholders. Nonprofits must reinvest surpluses back into the organization and its tax-exempt purpose. Excess revenues may not be distributed to individuals affiliated with the organization. Conflict of interest is difficult to define, yet many people think they know it when they see it. The legal definition of conflict of interest, usually stated in state laws governing nonprofit corporations, is very specific and covers relatively few situations. Most conflicts fall into a gray area where ethics and public perception are more relevant than statutes or precedents. Conflict of interest arises in the boardroom whenever the personal or professional interests of a board member are potentially at odds with the best interests of the nonprofit. Such conflicts are common: A board member performs professional services for an organization, or proposes that a relative or friend be considered for a staff position. Such transactions are perfectly acceptable if they benefit the organization and if the board made the decisions in an objective and informed manner. Such transactions are usually not illegal — except for private foundations. They are, however, vulnerable to legal challenges and public misunderstanding. Adopting a conflict-of-interest policy that prohibits or limits business transactions with board members and requires board members to disclose potential conflicts. Disclosing conflicts when they occur so that board members who are voting on a decision are aware that another member’s interests are being affected. Requiring board members to remove themselves from discussions and decision making that present a potential conflict. Establishing procedures, such as competitive bids, that ensure that the organization is receiving fair value in the transaction. Can conflict of interest be an obstacle to board service? It is probably impossible to find a board member who will never have any conflicts of interest. An active board member often has numerous professional and personal affiliations and, undoubtedly, some of them cross paths with your organization. In fact, he or she may have been chosen as a board member because of these particular associations or contacts. The chief executive of the organization is a spouse or close relative of the board member. The board candidate is also the chief executive of an organization with a similar mission and program structure. The board candidate is expected to participate in fundraising but he or she is already affiliated with an organization that is competing for the same funding. Does conflict of interest involve only financial accountability? No. Conflict of interest relates broadly to ethical behavior, which includes not just legal issues but considerations in every aspect of governance. Independent Sector describes three levels of ethical behavior: obeying the law; making decisions where the right action is clear, but one is tempted to take a different course; and making decisions that require a choice among two or more options that may appear “right.” The third level of behavior can pose especially difficult ethical dilemmas for nonprofit board members. Self-monitoring is the best preventative measure. Institute a system of checks and balances to circumvent actual or potential conflict of interest, beginning with well-defined operating policies on all matters that might lead to conflict. Most important, create a carefully written conflict-of-interest policy based on the needs and circumstances of the organization. Ask each board and staff member to agree in writing to uphold the policy. A conflict-of-interest policy should be reviewed regularly. What should be included in a conflict-of-interest policy? Board members and staff members in decision-making roles should make known their connections with groups doing business with the organization. This information should be provided annually. Board members who have an actual or potential conflict of interest should not participate in discussions or vote on matters affecting transactions between the organization and the other group. What are some examples of actual and potential conflict of interest? Organization policy requires competitive bidding on purchases of more than $1,000, but a printing firm owned by a board member’s spouse receives the $25,000 contract for the annual report and no other bids are solicited. A board member serves on two boards in the community and finds himself in the position of approaching the same donors on behalf of both organizations. A staff member receives an honorarium for conducting a workshop for another group in the organization’s field of interest. Staff members who have an actual or potential conflict should not be substantively involved in decision making affecting such transactions. Should an organization contract with a board member for professional services, such as legal counsel or accounting? Attorneys, accountants, and other professionals can contribute valuable expertise to a board. Due to the potential for conflict of interest, their contributions should be voluntary. At the very least, a board member who is associated with a firm competing for a contract should abstain from discussion and voting in the selection process. If a competitive bidding process results in the selection of that board member’s firm, he or she should disclose the affiliation and abstain from voting on future board actions connected with that firm’s contract with the organization. What is a disclosure form? An essential part of a strong conflict-of-interest policy is a disclosure form. This is a document that every board member should complete annually, listing all of his or her professional, financial, and personal affiliations that might affect his or her independent decision-making capacity during board service. This document serves as a guide to determine conflict of interest when specific issues are handled by the board. The chair should regularly review the document. Depending on the board’s policy, a board member with a conflict will either leave the room before discussion begins or participate in deliberation but not be present during the voting. This process protects the organization from biased decision making and allows board members to keep their integrity. Where can I find sample conflict-of-interest and ethics policies? In addition to defining the caveats of conflict of interest and proposing how to deal with them, the BoardSource publication, Managing Conflicts of Interest has sample conflict-of-interest policies and a sample organizational code of ethics. The BoardSource publications, Better Bylaws and The Nonprofit Policy Sampler, are other resources. Is it acceptable for a board member to have a personal relationship with a staff member? Some nonprofit organizations have nepotism and fraternization policies that forbid board members from having family or other close relations with staff. If you do not have a policy, each situation needs to be treated as a special case. The board should determine whether it can or wants to live with this potentially difficult situation. Do you have a strong conflict-of-interest policy? Do you have a confidentiality policy? Is a board member able to make unbiased decisions when a close friend is possibly benefiting from the outcome? Is the board concerned about confidential board issues being passed on to staff? Is the chief executive aware of this situation? How does he or she feel about a staff member having direct contact with a board member, and possibly passing on unfiltered information to his or her supervisor? Is it possible that this staff member gains an indirect influence in the operations of the organization? Ultimately, it is important to focus on a strong confidentiality policy and discuss ethical behavior in general rather than assume that a fraternization policy will eliminate the actual problem. In the strictest sense, bylaws are not public documents. They are the internal rules and regulations to guide your board’s activities. As a reference document, when filing for your tax-exempt status, it is good practice to include your bylaws if they have already been drafted. When incorporating your organization, your bylaws can provide helpful information on your organization. Even if the law does not consider your bylaws a public document, your willingness to distribute a copy to anyone requesting it increases your accountability and transparency to the public. Considering your bylaws as a public document also can force your board to pay careful attention to its contents. Keep the bylaws alive by evaluating them on a regular basis and amending them when they seem to lose validity or no longer correspond to your values. All nonprofits and their board members are encouraged to be active advocates of their mission. However, the IRS allows 501(c)(3)s to engage in lobbying only as long as it is not a “substantial part” of their activities. As the “substantial part” definition is rather ambiguous, public charities that lobby should understand the monetary parameters for what constitutes “substantial.” 501(c)(4) social welfare organizations and 501(c)(6) trade associations may engage in lobbying activities without limits; in fact, that can be one of their main functions. It is important to remember that political activity — campaigning in favor or against a candidate — is strictly prohibited for a charity. A violation of the IRS regulations may result in an organization losing its tax-exempt status or having to pay excise taxes on the money improperly spent. Can nonprofits engage in political activities? All nonprofits can engage in lobbying to a varying degree, but political activity is completely out of bounds for public charities. “Political activity” refers to partisan campaigning for or against a candidate. However, there are some nonprofits that can fully focus on political activity: Section 527 organizations or Political Action Committees associated with nonprofits other than public charities. These are independent groups whose mission is to support and influence the election of a political candidate. They accept contributions for candidates, and, although these contributions are not tax-deductible, they are exempt from federal gift tax. Nonpartisan voter education, activities related to get-out-the-vote efforts, and sponsoring nonpartisan candidate forums are usually allowed for charities, but it is important to be familiar with the IRS regulations to avoid putting the organization’s tax-exempt status in danger. Can public charities form Political Action Committees (PACs)? Public charities cannot engage in any kind of partisan political activity, directly or indirectly. PACs can be formed by 501(c)(4)s (social welfare organizations) and 501(c)(6)s (trade associations and business leagues), but 501(c)(3)s may not create their own committees. One of the ways a board can protect its members against personal liability is to have an indemnification policy written into its bylaws. “Indemnification” means that the organization relies on its own resources to pay board members’ legal costs for claims that result from board service. However, an indemnification policy goes only as far as the organization’s resources allow. If the organization lacks resources to pay, board members will not be adequately protected. Many states permit indemnification only as provided in the organization’s bylaws. In addition to carefully defined risk-management procedures, it is wise for an organization to complement its indemnification clause by purchasing Directors’ & Officers’ (D&O) insurance. D&O insurance generally covers costs that the organization may incur while indemnifying its board members. However, it is important to read the policy for coverage exceptions and to determine whether permission must be obtained from the insurance company prior to incurring any costs or selecting a defense attorney. Where can I find guidance for choosing Directors and Officers liability insurance coverage? Directors’ and Officers’ insurance is a specific insurance policy to safeguard board members and the organization for causes of action not covered by a general liability policy. D&O insurance is a separate policy from the general liability policy. An important benefit of D&O insurance is broad coverage for employment-related claims. If your nonprofit has employees, it is important to determine that your D&O policy provides broad coverage for these types of claims. Typically, a D&O insurance policy will provide both defense and indemnification for the individual directors and officers and the organization. Since each insurance company offers a different policy form with distinctions that could dramatically alter coverage, it is important to check the specific language on your policy. The Nonprofit Risk Management Center spends each day dealing with risk management, board liability, and insurance issues. It has excellent publications and articles on the Web site. Another reference for providers of insurance for nonprofits is the Alliance of Nonprofits for Insurance. You also may contact your state association. To find it, go to the National Council of Nonprofits. What changes require us to amend our articles of incorporation? The Articles of Incorporation should remain as general as possible within the framework of your state laws. The bylaws will provide further detail on the governance structure, and additional policies and procedures secure the rest of the necessary guidelines for the effective and ethical functioning of your organization. The answer is “It depends.” But when it is possible, the rewards usually outweigh most of the concerns. A few states do not allow young people to serve on boards, and many states have laws prohibiting minors to sign binding contracts. Before inviting young people to serve on your board, verify whether your state has an age limit for board members. Even if your state law prohibits minors from serving as full members of the board, there are many ways to benefit from the ideas and perspectives that young people bring. You can ask them to serve as nonvoting members of the board, to become members on an advisory council, or to chair a committee or a special event. Provide adequate orientation or assign a board mentor. Avoid electing minors as officers in charge of financial matters. When the law prohibits it, don’t allow minors to sign binding contracts for the organization. Provide D&O insurance for the entire board, but be aware that some policies may exclude minors. What does ex officio mean? Often, chief executives are said to serve as ex officio members of their board, meaning that they attend board meetings “by reason of their office,” rather than through elections. Other ex officio members could be government officials who are required to represent the government as part of a major grant provision. These delegates are appointed because of the position they hold and not because they have expressed particular interest in the organization. It is important to expect the same commitment from these delegates as from other board members. There is often a misconception that ex officio board members lack voting rights, but the term has nothing to do with voting. It is important to clarify in the bylaws whether ex officio board members may have the right to vote. BoardSource recommends that chief executives serve as nonvoting ex officio members of the board. What does a sample dissolution statement look like? Your articles of incorporation should include a statement of dissolution. Its purpose is to define the fate of your organizational assets if the organization ceases to exist. The statement must make it clear that none of the remaining assets will benefit a private person but will be distributed to another tax-exempt nonprofit.